With operating margins dropping as expenses grow faster than revenues, it’s imperative that hospitals and health systems enhance their focus on controlling costs and increasing efficiencies. A comprehensive revenue cycle management solution is essential to a revenue enhancement strategy that improves margin performance, increases collection yield, and reduces costs. Named 2019 Best in KLAS for Revenue Cycle Outsourcing for the third straight year and Category Leader for Revenue Cycle Optimization, Navigant offers hospitals, health systems, and physician practices a suite of end-to-end revenue cycle services that drive sustained performance improvements. Navigant solutions utilize a customized approach that integrates revenue cycle expertise and best-practice processes with our proprietary technology platform to streamline operations and works across all health information system platforms (Epic, Cerner, Meditech, etc.). Navigant revenue cycle experts identify opportunities and provide tailored solutions to create a clear culture of accountability for optimal revenue performance. 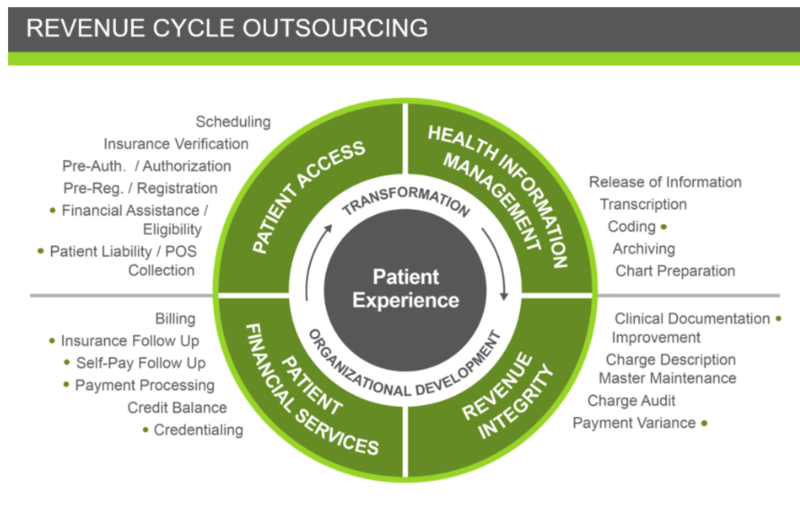 They bring deep experience and best practices to revenue cycle enhancement initiatives, all while keeping both the provider and patient in mind. Navigant healthcare clients include more than 300 health systems, including 11 of the 15 “Honor Roll Hospitals” as rated by U.S. News & World Report, and 80% of the largest health systems in the United States listed by Definitive Healthcare. Navigant is one of two companies nationally to achieve compliance with HFMA Map Keys, the key revenue cycle performance indicators for both hospitals and physician practices."